Finding a quality quiet space to work in this overcrowded city is often difficult. Cafes are crowded with tiny table space, while office rents are prohibitively expensive. Desk-one is here to offer your best solution. 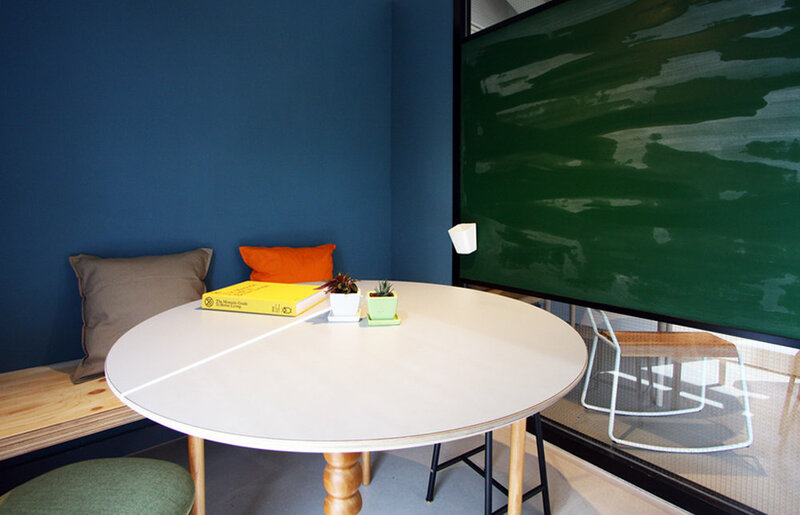 Desk-one is a collaborative working, reading and studying space in Causeway Bay, within 3 minutes from Times Square. The space enjoys panoramic view of the Happy Valley Racecourse from the heart of the city centre. It has combined the best elements of cafes (quality hand-drip coffee), libraries (tranquility and selected magazine collections) and coworking space (quality space with proper working desks). Desk-one offers a better alternative for entrepreneurs, freelancers, as well as those working professionals and the higher-level education market. Desk-one works closely with designers in creating this new concept to allow the users to get things done efficiently and effectively. The space consists three main areas – the Reading Lounge, the Quiet Focus Zone and Individual Discussion Rooms. Desk-one ensures that the users can enjoy ample natural lights with spectacular and relaxing view from most areas, supplemented by the complementary hand-crafted coffee, selected premium snacks & prepackaged drinks at the pantry, as well as latest magazines and books collection. Desk-one aims to provide a quality premium quiet environment for entrepreneurs, freelancers, young working professionals and students living under the daily hassle and stress in Hong Kong. Flexible daily and monthly plans are available. For more information, please visit Desk-one’s websites (www.desk-one.hk) or FB/IG account (@deskonehk).